Click through to check out our finds and scores! I’ll wait while you put your shoes on because you’re likely to run out the door after reading this, and like most amazing shopping spots, I’m pretty sure Labels has a shoes-required policy. *humming Jeopardy theme song* Now let’s proceed. 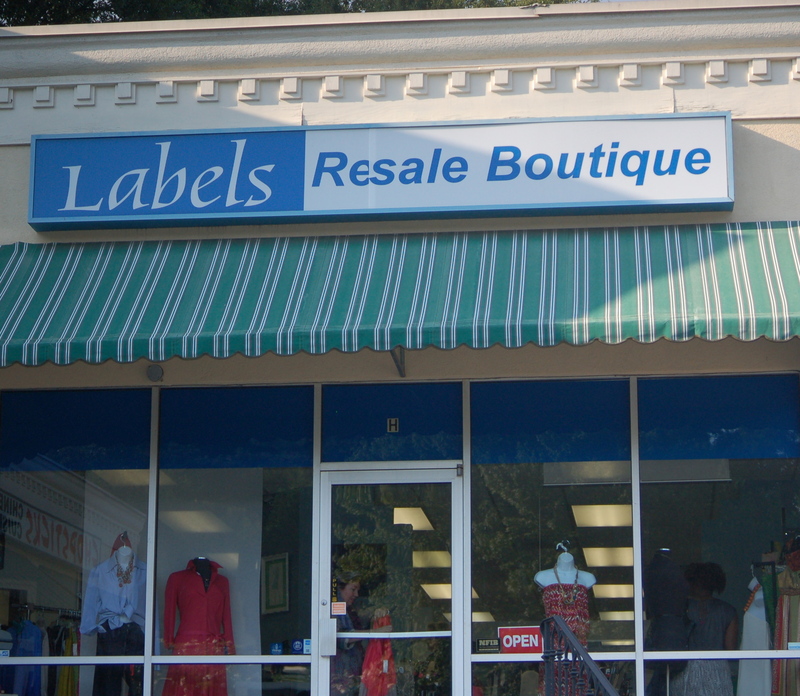 Featuring a well-edited selection of new and (very) gently worn clothing, shoes, and accessories, Labels Resale Boutique is designer consignment store heaven! Prada, Gucci, Tory Burch, Theory, and their counterparts share space with high quality mall brands like J. Crew, Banana Republic, and Club Monaco, creating the ideal environment for unique mixing and matching. The vibe at the Vinings location, where these pics were taken, is super laid back and friendly – shout out to Beth and Ryan, my new shopping obsession enablers 🙂 – and new merchandise is constantly being added. That’s why some friends and I went on Wednesday AND Friday of last week. Don’t judge. But if you do judge, judge my friend, not me: She visited the store three days in a row…and happy-danced out with major scores three days in a row. BONUS: The Vinings Labels is located in the same shopping center as Canoe (one of my favorite, favorite local restaurants), so it’s the perfect setup for making a Lunch and Labels afternoon of it. Or a Labels and Dinner evening of it. Check back for Part II of this Spotlight to see what we bought! Before I started Joy and Sunshine, I would never have worn a look like this. A mini and a blazer? Yes. Each of these pieces individually? Definitely. But a yellow ladybug print blazer with a random 70’s mod-ish printed skirt? No, ma’am. All with a black ruffled collar, pleated blouse? Absolutely not. (At this point in the questioning, I’d be looking at you sideways, 2 seconds from attitude.) After all, this is real life, and pairings like that belong somewhere else…right? Are there any boxes you’re stepping out of and away from (fashion-wise or otherwise)? Are you wearing or doing positive things you never thought you could/would? Be an inspiration, and share!